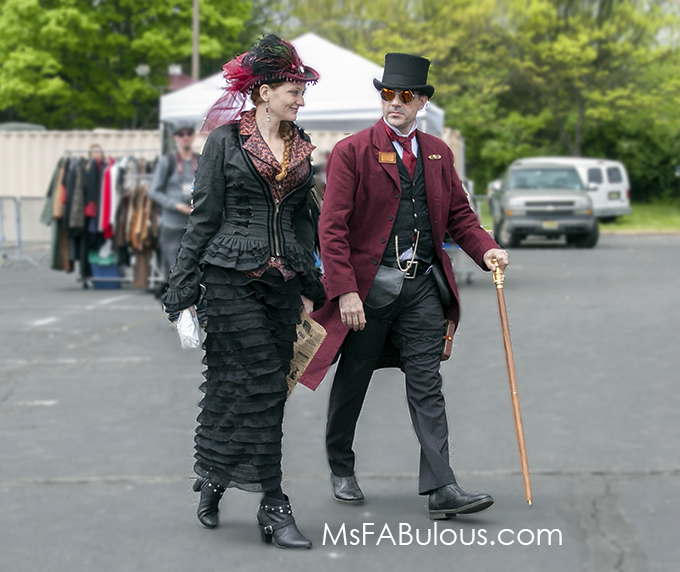 Heading off to the Steampunk World's Fair is an escape from reality. Sure you're wandering the halls of two hotels, but it is the attitude of the Steampunk genre that provides the getaway. The overarching theme of this year's Steampunk fashion looks was wanderlust following all modes of travel. Air travel, dirigibles, hot air balloons and dashing pilots have been a mainstay of Steampunk style. I also saw lots of sea travel, octopus motifs, pirates and captains with a huge range of accessories to match. Then I saw lots of couples that evoked the safari-exploring folk of 1800's. Many others who didn't follow the clockwork gears and test tube sci-fi look leaned more toward the "steam" aspect of the style and dressed in cruise or train traveling attire from earlier eras. 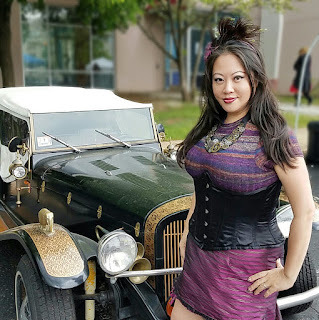 Unlike some alternative fashion trends like Lolitas and mermaids, Steampunk is one adopted by entire families and couples. 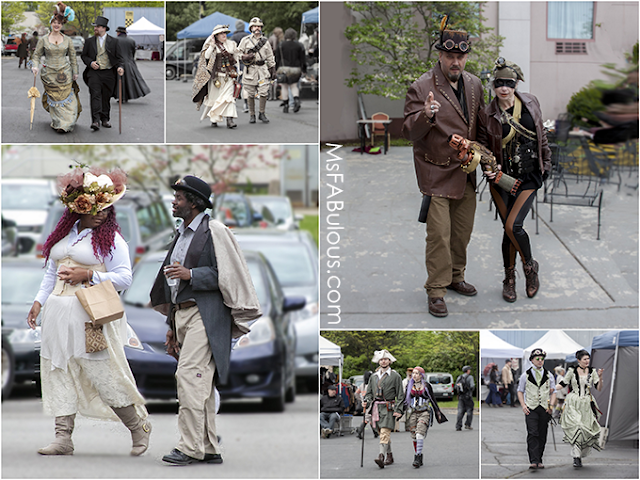 I saw many couples with coordinating outfits strolling the runway (parking lot) of the World Faire. Unfortunately, I didn't get to coordinate my look with my partner. He decided to put the "Punk" in Steampunk while I went for a fashion look. I love how inclusive Steampunk style is. The Faire clearly drew and encouraged all shapes, ethnicities, ages to flaunt their style. It was very accommodating to guests of all physical abilities (one badass guest pimped out her wheelchair front into a Steampunk motorcycle). have incorporated the aesthetic into their set design. Steampunk jewelry has worked its way into everyday fashion. Who doesn't like a little romance, history, and fantasy in your closet and your life?